Rode around a Trikke Urban Pon-e today. Don’t ask, just go look for yourself. It was fun! 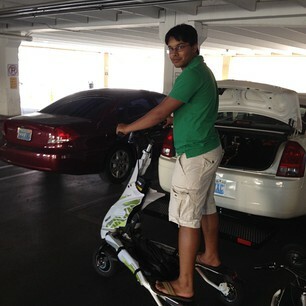 Weird riding around standing up, but it was smooth and enjoyable. Dunno if it is worth the price tag though. But why were you riding around on this strange thing? Testing it out to see if they would be a good fit for the urban connectivity bit. You’ll have to tell me more next time we talk.